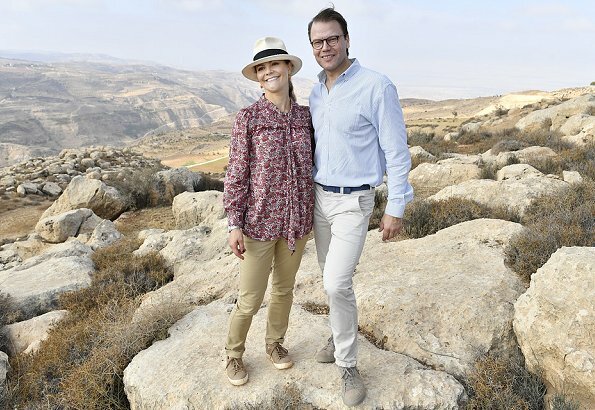 On the second day of their visit to Jordan, Crown Princess Victoria and Prince Daniel walked along the Jordan Trail. 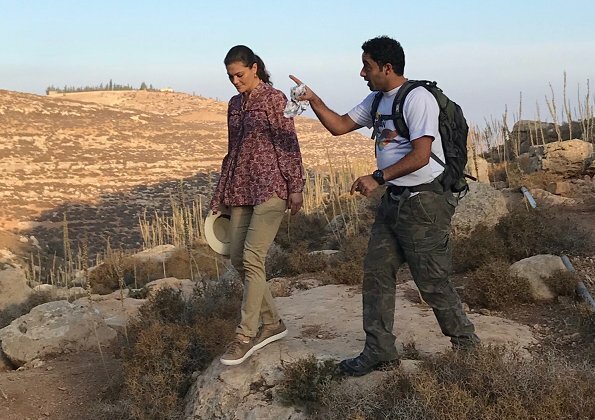 The Jordan Trail is a long distance hiking trail in Jordan connecting the length of Jordan from Um Qais in the north to Aqaba in the south. 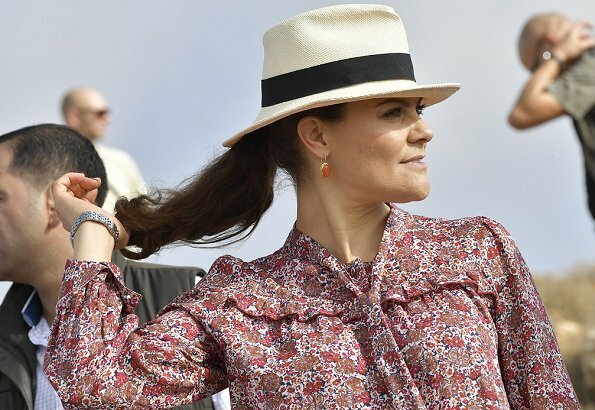 Crown Princess couple then visited the Scandinavia Forest. The forrest was a gift to King Carl XVI Gustaf during his State visit to Jordan in 1989. 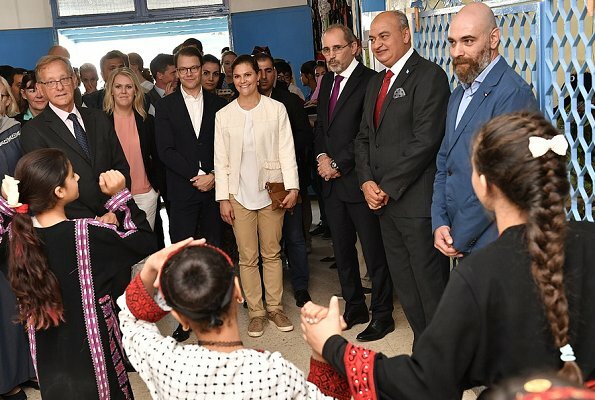 Crown Princess Couple then visited a school in a refugee camp located in Amman. 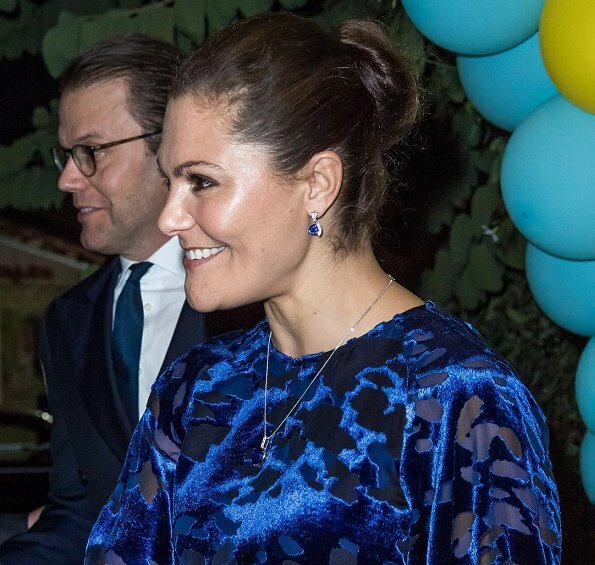 Crown Princess Victoria and Prince Daniel are making a 3 day visit to Jordan with Minister Lena Hallengren. I agree! I love this couple, they seem to support each other well. 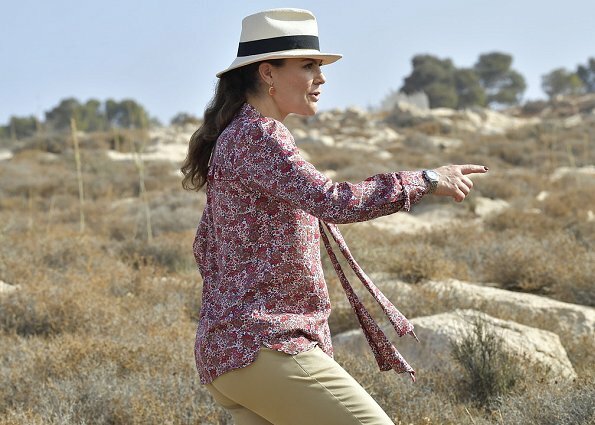 Cute hat, pants, and shoes, but that blouse is not good. In some pics it makes her look several months pregnant and it is not really sporty at all for a walk like this. It even looks like a maternity top on the model. Everything else is great! I like this. They both look great. And this is how a floral piece can be worn without looking outdated, dowdy or matronly! As a complement to an otherwise modern and sleek outfit, it really is fine. But a floaty piece with an all-over print, and frills, and long, is too much. 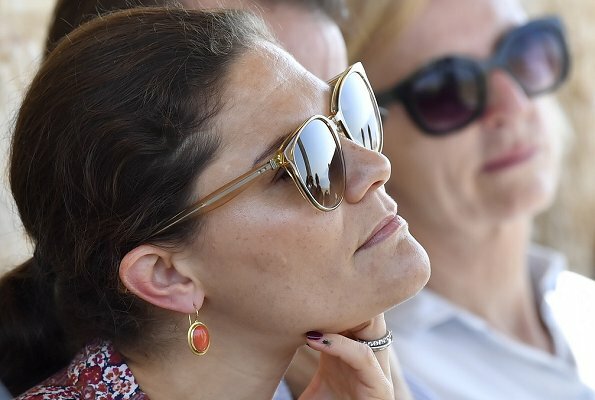 Si para esas caminatas esa blusa es comoda!! Muy distendindos y practicos! Great pictures . What a lovely couple. 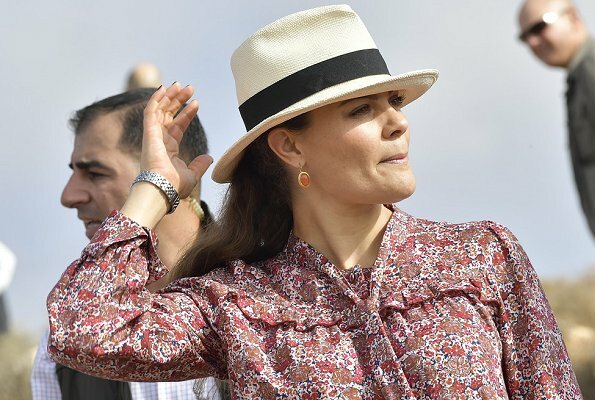 Little-house-in-the-prarie is back on stage combined with a Panama-Hat or similar hat? It is very hard to look really good if you are not tall and if you haven´t the size of a model. 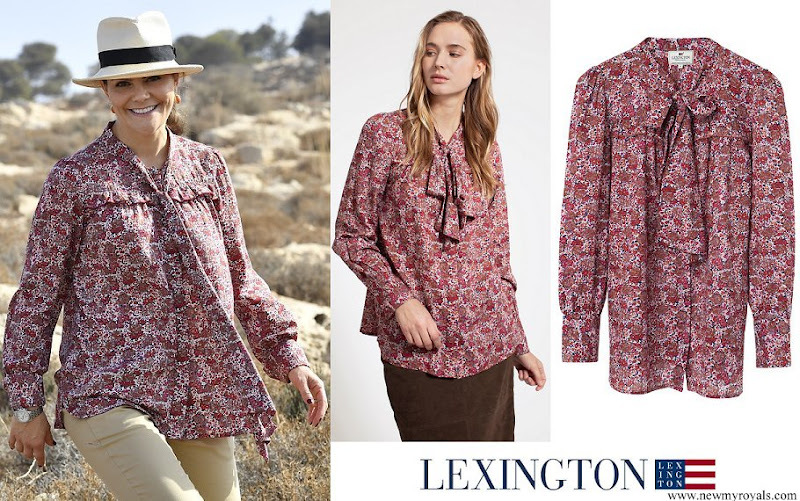 Oh, I adore the red print blouse, except for the long tie in front -- it gets in the way of the look. So cute on Victoria. even so! Everything great bit that blouse... Makes Her look 6 months pregnant. Maybe with another blouse. How happy she is also got a little hiking in. The flowery top to me looks better without the ruffles. The blue velvet dress with the burnout pattern looks good, but a little see through I don't really care for. Both Victoria and Daniel look good. Picture number three - what a wonderful couple! 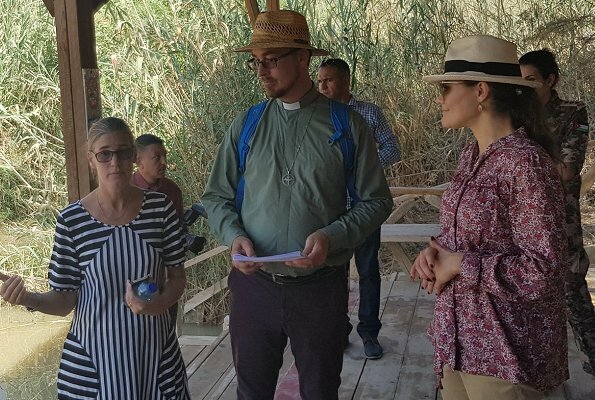 fabulous couple down to earth,relaxed in each others company, enjoying simplicity and mostly engaging greatly with the beautiful Jordanian people and their amazing hospitality. Well done team Jordan.